The Holy Prophet SAW had predicted about the battle against India/Hind also known as Ghazwah-e-Hind, he had said that the group of Muslims who will participate in that battle will be the blessed of all and will be saved from Hell fire and the Holy Prophet (SAW) himself had wished his utmost desire to take part in that battle. It is thought that Ghazwah-e-Hind has already happened but there are scholars who are of a view that every battle fought against India is a part of Ghazwah-e-Hind as it paves way for the final battle which is yet to come near the emergence of Hazrat Eessa (AS). 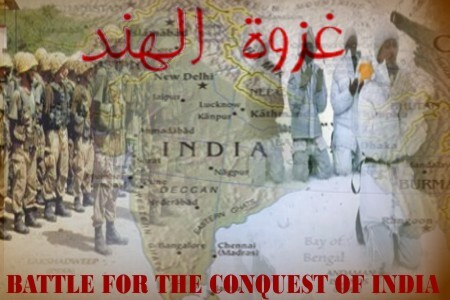 Abu Hurayrah (RA) said, "The Messenger of Allah (SAW) promised us the conquest of India. If I was to come across that I will spend my soul and wealth. If I am killed then I am among the best of martyrs. And if I return then I am Abu Hurayrah (RA) the freed." (Nasai & also mentioned in Ahmed & Hakim.). The Messenger of Allah (SAW) said, "Two groups of my Ummah Allah has protected from the Hellfire: a group that will conquer India and a group that will be with 'Eessa son of Maryam (AS)" (Nasai & also mentioned in Ahmed & Tabarani.). Pakistan remains the only state of the Muslim Ummah which has fought time and over again with India in major wars and active battle fields including Control Line in Kashmir and the highest battle field of the world - Siachen Glacier, while also engaging Israel in combat. All of these battles point towards the preparation for final battle which is expected to happen before or during the arrival of Hazrat Eessa AS as prophesied by the Holy Prophet SAW.